The Chinese translation of Kahlil Gibran’s English biography Kahlil Gibran;His Life and World was published by China Social Science Publishing House in July, 2016. The translator Dr. Zheng Ma is a researcher of Kahlil Gibran. In 2006, she completed “The Literary Study of Kahlil Gibran in the Western Context” which was the first doctoral thesis on Kahlil Gibran in China and challenged the dominant notion of China’s academia and readers that “Kahlil Gibran is an Eastern writer” and totally ignored his American background .Four years later, the monograph “The Study of Kahlil Gibran from the Intercultural Perspective”was published and commented as “the most comprehensive and in-depth”study on Kahlil Gibran in China. 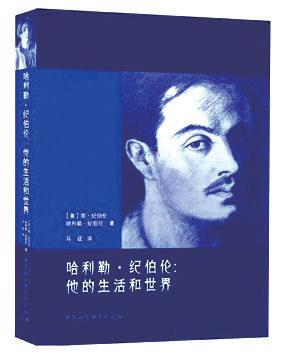 The translator particularly cherishes the historical value of the biography based on the searching,collection and research of the first hand data by the authors Jean Gibran and Kahlil G.Gibran.In this life long work,loads of letters,paintings,manuscripts and life details are uncovered in the first time for Chinese readers. And Dr.Zheng Ma believes that the publication of this Chinese translation of the biography will offer a foundation for enhancing and improving further biographical writings ,academic research and the readership of Kahlil Gibran in China. Dr. Zheng Ma is grateful for the support of Li ,Bingqing,who is the publisher of the Chinese translation of Kahlil Gibran:His Life and World and the book “The Study of Kahlil Gibran from the Intercultural Perspective”. Both of them, as a publisher and a translater and researcher, are among the millions of Chinese fans of Kahlil Gibran.And they worked together on the translation copyright, translation revise,and publishing publicity from 2011 to 2016. Wenyibao which is one of the earliest and best newspapers of literature and arts in China published the news of the publication in 2016.And the introduction of the biography was published in the Journal “Middle Eastern Study of Peking University” . Dr.Zheng Ma appreciates the generous support of this translation work from professor Suheil Bushrui when she was invited and visited the Kahlil Gibran Chair of the University of Maryland,USA during June 2013-May 2014.As she noted, the historical research of the biography “His Life and World” also set a basis for the biography“Man and Poet:Kahlil GIbran:A New Biography”authored by Suheil Bushrui and Joe Jenkins which presents one of the most in-depth biographical writings on Kahlil Gibran from the perspectives of philosophy and civilization dialogue. In her new project “the Study of Arab American Literature”which has been granted by China Social Science foundation,Dr. Zheng Ma studied the internal relevance of biographical writings of Kahlil Gibran with the evolution of Arab American experience through an in-depth analysis of the three biographical writings “kahlil Gibran:A Biography”(Mikhail Naimy,Arabic,1934;English,1950),“Kahlil Gibran:His Life and World” and “Man and Poet:Kahlil Gibran:A new Biography ”.